Do you love cheese? Do you love spicy cheese? Then this Burger recipe is for you. We recently paid a visit to Hickory Tavern in Charlotte, NC, to taste their take on a Pimento Burger. And, boy, was it delicious! We jotted down the Burger build so we could share it with you, as well as our own recipe for Pimento Cheese. Enjoy! Cook your Burger to order (4-5 minutes per side on high heat for medium rare). Build Your Burger: Bottom Bun, Lettuce, Tomato, Burger, Pimento Cheese, Top Bun. Refrigerate, covered, until ready for use. 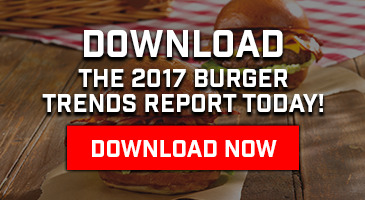 Be sure to follow Hickory Tavern on social and visit their website for the latest in unique Burger builds and other offers.